ADAM Zampa has spun Australia to a 32-run ODI victory in Ranchi, where not even a century from masterful chaser Virat Kohli was enough to get India home. Written off as World Cup contenders and down 2-0 in the five-match series, Australia responded with arguably their best one-day performance under coach Justin Langer. Langer will be thrilled with his side's first ODI victory outside Australia since they triumphed in Bangalore in September 2017. 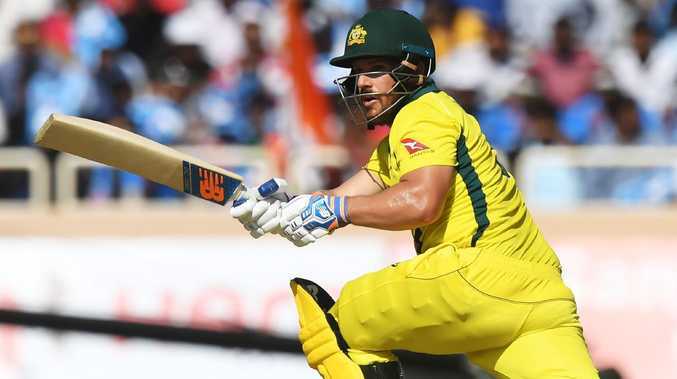 Aaron Finch returned to form and Usman Khawaja posted his maiden ODI ton as Australia finished on 5-313, their biggest total since amassing 5-334 during that same match in Bangalore. Finch (93) and Khawaja (104) laid the platform for an even bigger total in their 193-run opening stand, which spanned 191 balls and was almost double Australia's previous highest opening partnership during David Warner's suspension. "It was a pretty good performance. To get 300 on that wicket was very good. It was nice and especially in these conditions," Finch said after the win. "I have been working really hard and have always had the faith I would get runs. Usman played a fantastic knock, Jhye was also impressive with the ball," he added. Kohli, fresh from his match-winning hundred in Nagpur on Tuesday, responded with a sparkling knock of 123 that came off just 95 balls. Zampa made the crucial breakthrough, dismissing the captain for a third time on tour, and also removed MS Dhoni and Kedar Jadhav. India were all out for 281 in 48.2 overs, with Pat Cummins and recalled paceman Jhye Richardson also playing pivotal roles with the ball. Cummins starred with the new ball to help reduce India to 3-27. Zampa then claimed the all-important scalp of Dhoni to make it 4-86, silencing a sell-out crowd that had come to see what was expected to be the wicketkeeper's final international game in his hometown. Kohli's class and composure came to the fore as he wrestled momentum back from the visitors with ODI century No.41. 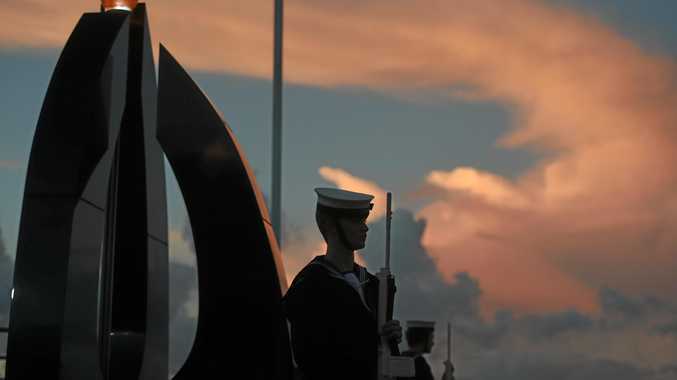 The challenge for Australia was simple yet mind-bogglingly difficult. They needed to find a way to remove Kohli, whose batting average in ODI chases is now an outrageous 68.71 (with 25 tons), or lose the series. Glenn Maxwell created a caught-behind chance when Kohli was on 98, which would have denied the superstar a ninth ODI hundred in chases of excess of 300. Kohli, out when he skipped down the pitch and was clean bowled attempting to clip the ball to the leg side, could hardly believe the series of events. India's victory equation was 95 off 75 balls when Kohli departed. Vijay Shankar and Ravindra Jadeja put together a 32-run stand but the tourists kept their cool, with the former going down swinging at Nathan Lyon before the required run-rate got out of hand. "I was very disappointed when I got out. I really thought we had a chance with the difference being 20 between balls and runs," said Kohli. "Australia played better on the day. Adam bowled well and they won the game. We will have a few changes in the next couple of games. "A little hiccup in the middle but we will regroup and come back stronger." The series continues in Chandigarh on Sunday before wrapping up in Delhi on Wednesday.